Create a modern twist on the classic meatball sub with these spiced beef meatballs and fiery harissa cream. 1) For the meatballs, combine the beef, onion, garlic, oregano, chilli, breadcrumbs, salt and pepper in a bowl and mix well. Form golf ball-size meatballs and set aside. 2) Heat a large frying pan over medium heat and add oil. Fry the meatballs, turning frequently, for 10-15 minutes until they’re cooked through and golden brown all over. Remove from the pan and drain on paper towel. 3) For the harissa sour cream, combine the sour cream and harissa in a bowl. 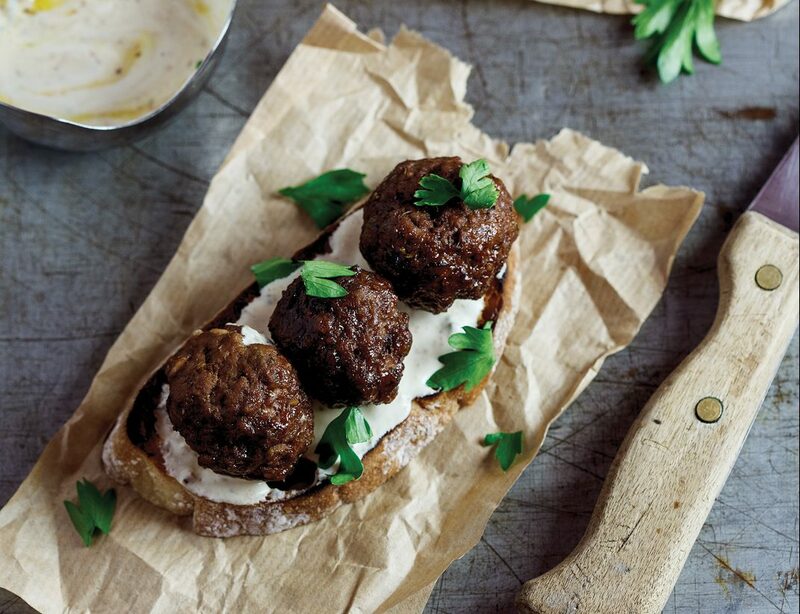 4) To assemble, top the toasted ciabatta with the meatballs and drizzle over the harissa sour cream. Top with fresh parsley and serve immediately.